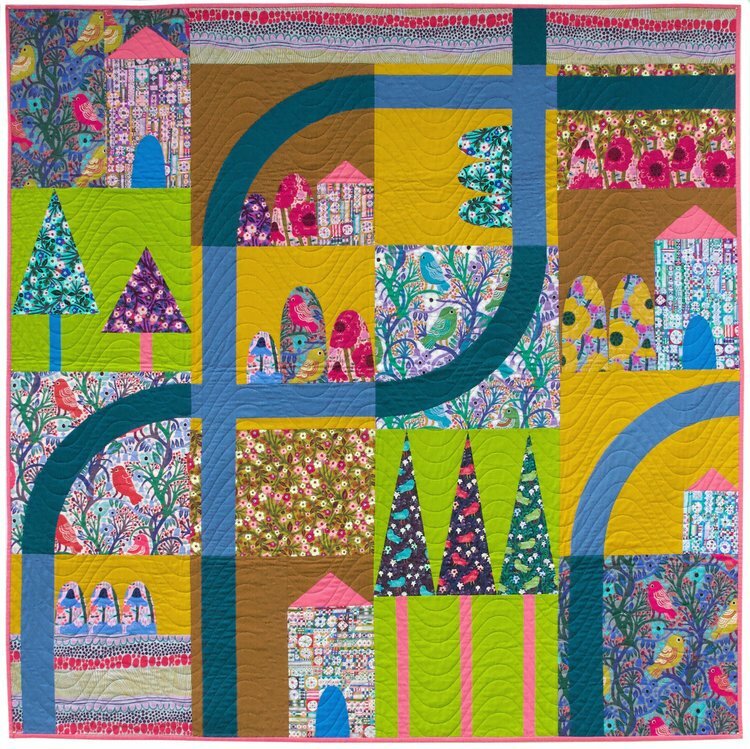 The Savernake Road Quilt is a playful but sophisticated roadtrip of gentle curves through a lyrical neighborhood of homes accented by patchwork and applique trees. The solids we chose to play alongside Monika's prints emulate her groovy palette and we love the blocks of bird forests that appear as your travel through the quilt! This design is made up of mostly 16” blocks, with just a few simple variations to that for interest, and finishes at 64” square.